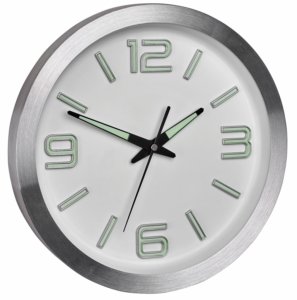 The design of this wall clock with a grey frame is timeless and blends harmoniously into almost any surrounding. 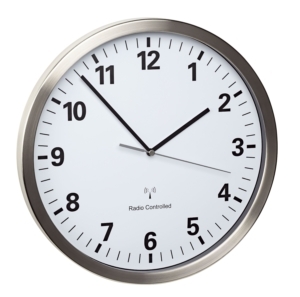 The clock has a high-grade real glass cover. 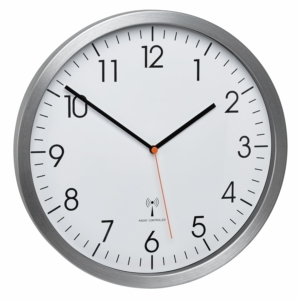 The minimalist dial with second hand comes without markings. 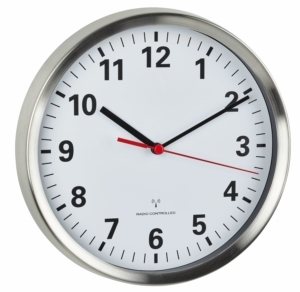 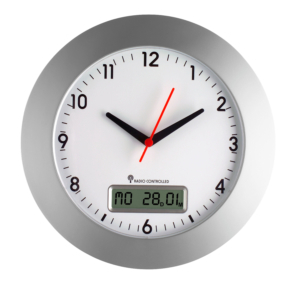 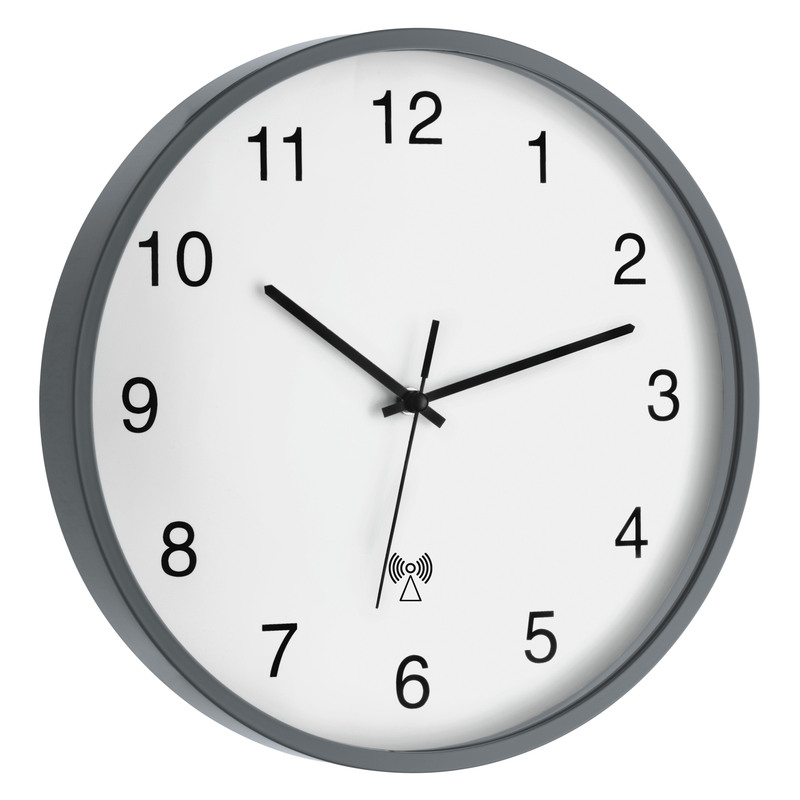 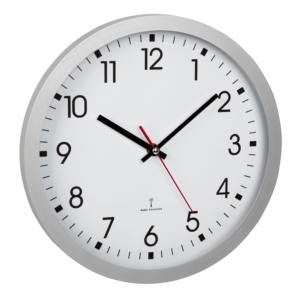 This TFA radio-controlled wall clock receives the time via the DCF 77 signal and so the current time is always displayed to the second, which eliminates the changeover from summer to wintertime.